UC San Diego composer Philippe Manoury has been awarded Best Composer of the Year in France's Victoires de la Musique Classique 2012, the French equivalent of the Grammys. 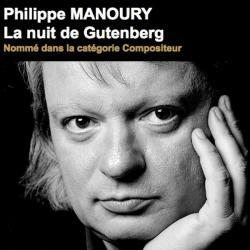 Manoury was honored for his opera La Nuit de Gutenberg (The Night of Gutenberg), which was premiered last fall by the Opera National du Rhin in Strasbourg. The awards program earlier this week was televised on France3, the French national television channel. Manoury, whose influences include avant garde composers Pierre Boulez and Karlheinz Stockhausen, said that his award provides a boost for contemporary music. "Receiving an award in the classical category for a contemporary composition is extremely rare,” he said. “I hope that this will help to have new productions of my operas in Europe. It seems that Europe is not angry with me for living in California the past eight years [while teaching at UCSD], because this summer there will be a big celebration for my 60th birthday in Paris, where the Orchestra de Paris will premiere my piano concert, and in Lucerne, where Pierre Boulez and Peter Eötvös will conduct two of my orchestral works."